Anyone familiar with business knows how tough it is to launch and successfully run a restaurant. The failure rate of restaurants is, by some accounts, 59-percent in the first three years. In spite of these long odds, some restaurants break that barrier and manage to stay open and thrive in that hyper-competitive marketplace. One such restaurant is Sacramento's Tokyo Fros. Started in 1999 by restaurateur and small business owner Jeff Davis, his Tokyo Fros has survived two recessions, including the Great Recession of 2008 that shuttered many restaurants. Additionally, Davis has survived an onslaught of discount sushi restaurants, national chains, the advent of circumspect Yelp reviewers and has not only survived, but has developed a large cadre of regular customers. Having come out of the Great Recession on both feet, Davis said starting in 2012, business regained steam, and they were having some of their best years since opening, that is until 2014 when they hit a wall of sorts. businesses located there are not open. “We were having a great year, we were trending in a direction that was unlike I have seen in five, six years,” Davis said. Was the wall a new nearby sushi bar, or perhaps a well-funded national chain siphoning customers away? It was neither, but it was something a bit more insidious - a new landlord. 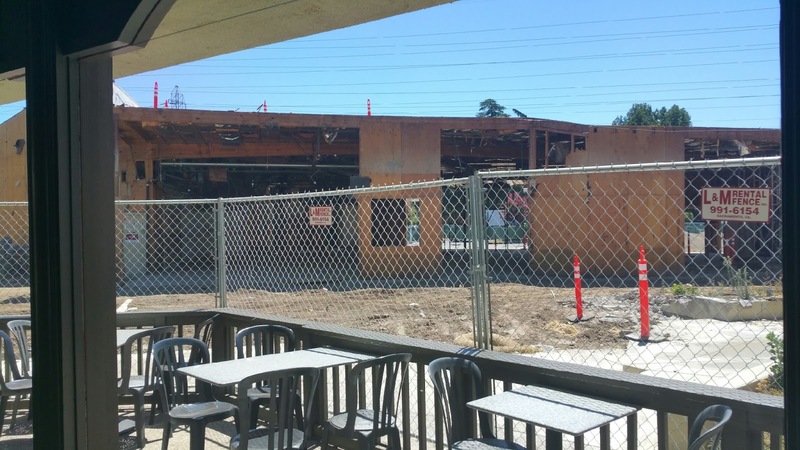 In 2014 Davis' then landlord Howe & University, LLC, sold the University Village shopping center located on the southeast corner of Howe Avenue and Fair Oaks Boulevard to a San Francisco-based real estate concern, Merlone Geier, also known as M&H Realty. 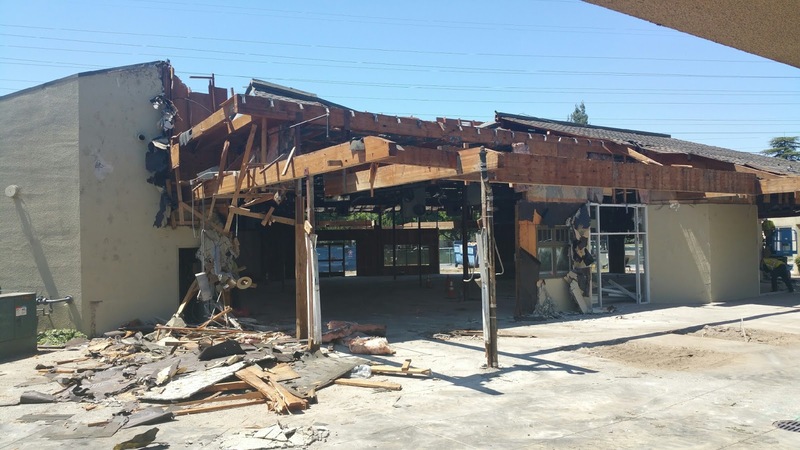 It was not long after Merlone Geier took possession of the shopping center that Davis and other tenants saw the difference in how their new landlords managed the property and tenant relations. Earlier this year Merlone Geier initiated a $10 million renovation of facility in hopes of attracting national retail clientele. The existing tenants were offered the chance to rip-up their current lease and leave or accept a significantly low buyout offer. Davis, who signed a 10-year lease with his previous landlord in 2012, was similarly offered a bargain basement buyout that was significantly less than the goodwill and value that the restaurant has accumulated in its 17-years at its current location. Since that time, Davis alleges Merlone Geier has forced out other independent businesses in the University Village Shopping Center. Davis said his current landlords are squeezing out small, locally-owned businesses like his for national chains which can pay substantially higher rents. “”Why would I leave, I have six-and-a-half years left here, I’ve been here 17- years, and I have a huge following,’” Davis told the Merlone Geier representative. Once surrounding business were vacated and torn down, University Village has undergone massive reconstruction leaving Tokyo Fros in the center of loud and disruptive construction. 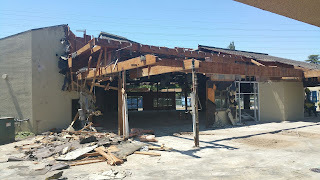 Merlone Geier tore down a portion of the former Eastern Empire Chinese Restaurant, who was forced out, and has not resumed construction for several months, which gives customers the impression that the shopping center, most notably Toyko Fros, is either closed for business or not an ideal location to enjoy a meal considering the numerous other restaurant options in the area. Consequently, Davis says business has significantly decreased hurting his bottom line. to-day operations of the restaurant. After refusing to accept Merlone Geier’s unreasonably low offer, Davis quickly found himself in the midst of a pattern of escalating tensions with management. Merlone Geier completely removed his outdoor patio and furniture without his consent, erected fencing blocking off his only rear access door where deliveries are made and employees remove trash. Employees were forced to carry deliveries and unsightly trash through the restaurant in view of customers. Only after repeated demands, management permitted limited access to the rear door by erecting an unsightly makeshift tunnel that still does not allow him to make weekly deliveries. The tunnel serves no purpose and is adjacent to his windows where customers sit and blacks out lighting coming into the restaurant rendering parts of Tokyo Fros’ seating areas unusable. Since current management took over in 2014, Davis noticed an increase in crime and vehicle break-ins in at University Village due to inadequate security. 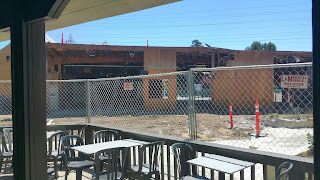 His repeatedly requests for additional security for his customers and employees leaving the restaurant late at night were largely ignored until earlier this year when Merlone Geier began construction and needed security on the premises to protect their own construction assets that were being left overnight. Davis reports that Merlone Geier’s security has ticketed his vehicle for no reason, harassed him in the parking lot, and followed Davis into his own restaurant before bumping into him with his body. Davis added that Merlone Geier already told him that he would not have the option to renew the lease at the end of its current term. “They told me ‘We are not going to renew you, we are going to raise your triple-net” Davis said. Also Merlone Geier is now charging Davis for sewer and water fees which were not part of his last lease. Adding insult to injury, Merlone Geier is charging utility fees for his Tokyo Fros’ patio space that management removed and he is unable to enjoy. And to up the pressure, Davis was recently issued a three day quit notice regarding a water and sewer bill two weeks before its due date. Davis has fought back. Last week Tokyo Fros filed a lawsuit in Sacramento County Superior Court against the San Francisco real estate group alleging they violated his rights under the lease. Merlone Geier, also known as M & H Realty, is a familiar name to Elk Grove political observers. Aside from being generous financial contributors to Elk Grove City Council Members, as M & H, they pursued litigation, which was settled out of court, against the City of Elk Grove and the Howard Hughes Corporation over development rights near the unfinished Outlet Collection at Elk Grove. Davis said it is outrageous that Merlone Geier has chosen to use aggressive tactics and economic coercion against him and former fellow tenants, noting many of them were “mom and pop” operations. Chairman Maonasky's proposed $15 an hour minimum wage in Elk Grove will save us from corporate greed and help these small businesses succeed. This is ridiculous. Another example of giant corporation squeezing the small independent business owner. They want to fill the whole shopping center chains. Yeah, just we need. This is sad. Good luck Tokyo Fros. And good for you for standing up to these bullies. As a former employee of Tokyo Fro's, this is very difficult to see!!! The way Davis and Fro's is being treated is absolutely deplorable. Fro's is my go-to sushi joint when I"m in town and it's shocking that any property management organization would strong-arm a 17 year successful restaurant business, especially considering how difficult the restaurant business is to begin with. 17 years people...that's a huge accomplishment, especially when it was up-trending prior to the landlord change! What happened to ethics? Have written agreements become as dismissible as the once-honored handshake? Shameful. Way to stand up for yourself Jeff. I hope your fellow restaurant colleagues are paying attention and your customers rally at your side in support of Fro's! I love Tokyo Fro's!! I would hate to see it go under for something like corporate greed. Save the small business!! This is absolutely devastating not only for Jeff "Fro" Davis but also for small businesses in the Sacramento area. As a former employee of Fros I am so sad to hear about the issues this new property management company has placed on this small business. Fro is an example of the American Dream and now it may be taken away from him. I hope that the community can come together and support Jeff in his fight to save his dream. Let's rally together to support Jeff and small businesses! This is absolutely devastating not only for Jeff "Fro" Davis but also for small businesses in the Sacramento area. As a former employee I am appalled at the way this new property management company is treating this small business owner. Jeff Davis is an example of the American Dream and now that dream may come to an end. I hope that we as a community can rally together to help keep Jeff's dream alive. This is not acceptable. Somebody do something about this situation as Tokyo Fros is the best sushi restaurant in the area! It's so hard to park there now but still worth the effort as its one of my favorite restaurants. Very terrible what they are doing to the businesses, especially Tokyo Fros. Jeff Davis and his staff always make to feel w÷lcome. Best sushi and establishment around. Terrible what that are doing to the businesses. Jeff Davis and his staff always make you feel welcome. Tokyo Fros is the best sushi and establishment around. Good luck with your landlord. Being a sushi lover, I better try you out soon! I was at the opening of Tokyo Fro's many years ago. Jeff "Fro" Davis has always been passionate about this resteraunt and the experience people have with the food and the dinning experience. It's obvious he takes great pride in his resteraunt. A very rare quality to find these days. Tokyo Fro's has the best sushi from Sacramento to Florida, I have not found better sushi! This is a example of letting Corporate giants push out the local businesses. I truly hope something can be done to stop this. We need to protect the local business owners. I work down the street, we used to go to Capitol Tap prior to the construction. Its litterally impossible to park there now, looks like a war zone, really, and no where to park on the street. Hello Twin peaks with huge parking lot!